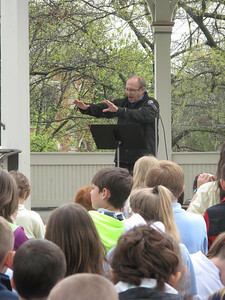 ELIZABETH DOBBINS / GAZETTE Pastor Doug Davidson of Medina Community Church recites a poem about the use of prayer while an audience membercopies his motions, raising of the event’s programs. ELIZABETH DOBBINS / GAZETTE Pastor Doug Davidson recites a poem about prayer and encourages audience members act out his words. 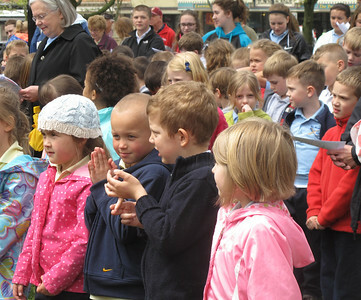 ELIZABETH DOBBINS / GAZETTE A crowd gathers in Medina Public Square for a National Day of Prayer observance. 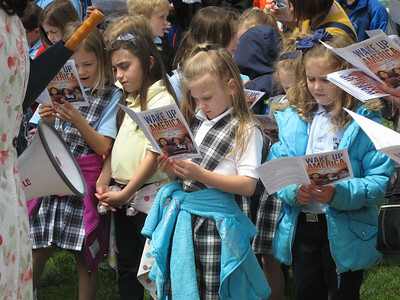 ELIZABETH DOBBINS / GAZETTE Medina St. Francis Xavier students read along as Pastor Doug Davidson leads them in prayer. 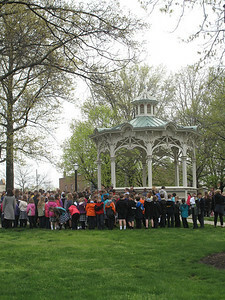 ELIZABETH DOBBINS / GAZETTE St. Francis Xavier eighth grader Emily Austin sings "God Bless America" in the public square as part of the National Day of Prayer. 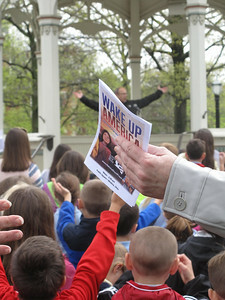 ELIZABETH DOBBINS / GAZETTE Students and community members gathered in the public square to take part in the National Day of Prayer. 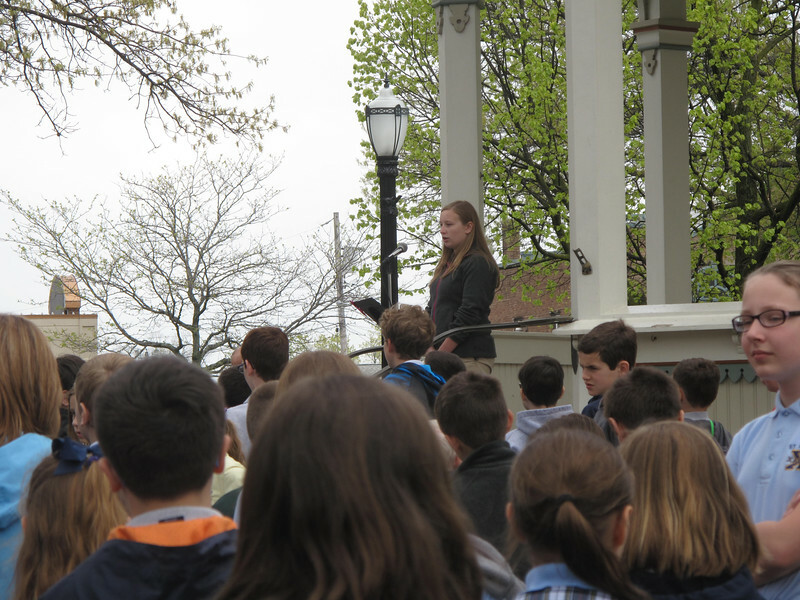 St. Francis Xavier eighth grader Emily Austin sings "God Bless America" in the public square as part of the National Day of Prayer.